There’s something special about being able to buy American made products. Whether I’m looking for beauty products or winter products I’ve found a site that sells only American made options at reasonable prices. 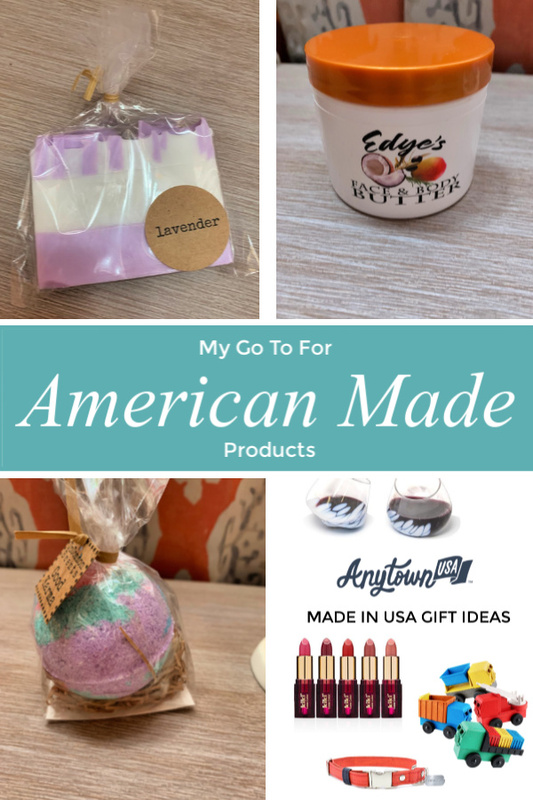 AnytownUSA.com is the name and today I’m featuring the reasons why you should check out their American made products today. There are many reasons to buy American made; one of the biggest reasons is that it gives more jobs to those who live in our country. In addition to giving more jobs to those who live in our country, buying American made helps promote independence. Many Americans pride themselves on being independent so if I can buy American made, I feel like I’ve done my part to help encourage the growth of American business owners and product makers. In addition to helping our country’s growth when it comes to buying America made, I can rest easier knowing that the products are made safely based on the standards set forth in the USA. We don’t always know what we’re getting when we purchase products made outside of America as other countries don’t have the same standards America does for quality control and consumer protection. AnyTownUSA.com makes it easy for anyone to buy or sell American goods. They lay out the Made in USA guidelines right on their website so that consumers can be educated on what the labels on products mean. It’s amazing really that they not only have created a marketplace for people to sell American made products, but it’s a place anyone can go to purchase their favorite everyday items or Valentine’s Day gifts. The entire team of AnyTownUSA.com is made of a group of people who’ve lived in 16 states combined. You’ll see that some of their team does reside internationally, but they still work to create a solid website for anyone to buy American made products any time of day or night. This amazing body butter offers six different fragrances to include Seersucker, Georgia Peach, Shoreline, Magnolia, Citrus & Sunrays, and Midnight Garden. Made from natural Vitamin E and chamomile flower extract this body butter contains 99% natural and 78% organic ingredients. 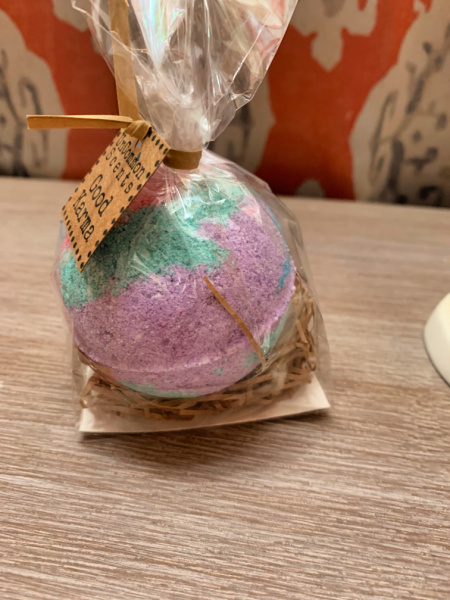 With these Good Karma Fizzy Bath Bombs, I know that I’m relaxing with natural ingredients. Each of these bath bombs are the perfect size for one bath. The scent is a mixture of mahogany layered with coconut, sandalwood, vanilla, and oakmoss. This 4oz jar of face and body butter is hand made in small batches with pure, organic oils. I love that there are no parabens, phthalates, or artificial fragrance in this body butter. I feel better knowing that I can use this to alleviate itchy, irritated skin from head to toe without harsh chemicals. Natural vegetable derived soap made from moisturizing goats milk. Comes individually wrapped and in a hand-stamped muslin bag. Enchanting meadow fringed with springs of lavender provides you with an uplifting scent as you soak to relax and detox. AnytownUSA.com has an amazing selection of beauty products and winter products that will make a fabulous Valentine’s Day gift for your loved one. From luxury lipsticks to honey blossom soaps, you’ll be able to find something for your loved one this Valentine’s Day at AnytownUSA.com, and if you’re a military veteran you can get 10% off your purchase with their military veteran discount. I love to buy American made products. I am always looking for new brands to try. These look great! this product looks so great. thanks for sharing this one here. I do use certain American products and they are good. Your chosen products are great I must say. I always try and buy locally too. Im in the UK but try and support small businesses and buy locally sourced products. I will have to check out Anytime USA. I hadn’t heard of them but i do love supporting American companies selling American made products. Great round up!! Just love it! The products here sound very good. I am yet to try any of them. American made products are harder to find than most think! These are some great products and brands! 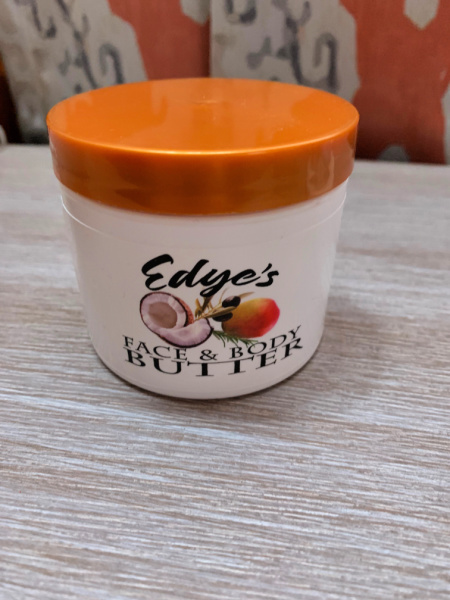 My wife would love the Edye’s Organic Face and Body Butter! Thanks for sharing!